I have bought with some extra birthday money. Thought I would share. Basically found all of this stuff on my bible: Pinterest. As soon as I saw this coat I snapped it up straight away! Unexpectedly cheap too! Green is my favourite colour & I adore the polka dots inside! I thought this was far too pretty to not buy! 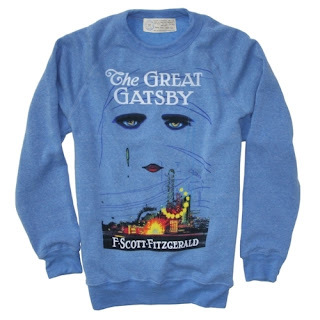 I saw this fabulous sweater on the blog of beautiful Rose at The Londoner & knew I had to have it! The Great Gatsby is one of my favourite books & these sweaters are fab! I will be wearing them to the cinema! Anyone else bought some favourite pieces lately? 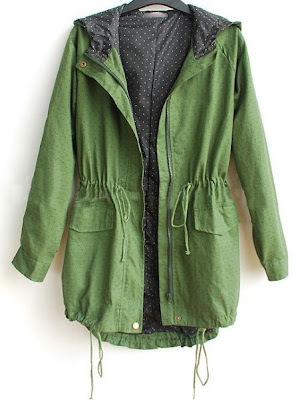 omg i'm in love wit the parka, :)! 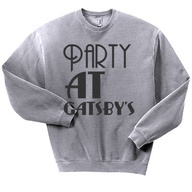 Oh, I had completely forgotten The Great Gatsby is coming out soon! Definitely need to see that. I'm just about to do a post on favourite pieces I've found the past week! I especially like the green coat - looks really lightweight too! 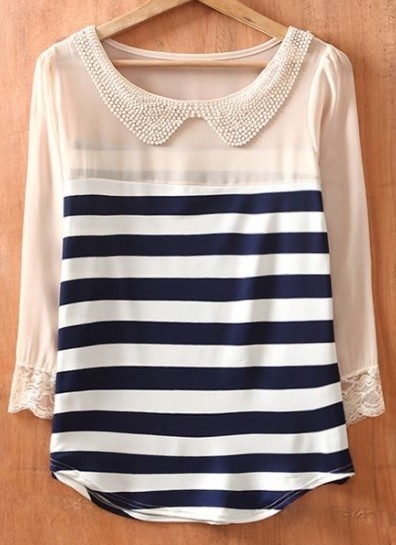 The stripy top with the pearl collar is really pretty! wow i pinned that cute collared shirt ages ago but never knew where it was from! I love the peter pan collared striped top. It's a must-have! Oh Jools, please together with your readers take some time to check out this new Bloggers Against Social Injustice network where fashion bloggers come together to make this world a better place. We are having a giveaway now! Check out how you can win a BASI bracelet here @BASI giveaway! Bloggers Against Social Injustice website to join in fun events, collaborations and play your part in making this world safe. The blog is back in new style. Check it out! Oooo, the collared jumpery thing is fab, in love!